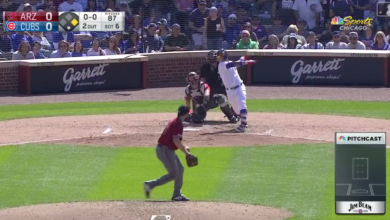 Willson Contreras hit a home run on the first big league pitch he ever saw, so why should the All-Star Game be any different? It’s not a bad idea to sit dead red in these exhibitions, so when Ian Snell piped a 98 mph heater middle-middle you knew what was going to happen. The solo shot to lead off the bottom of the 3rd put the NL on the board and halved the deficit that had been built by solo homers from Aaron Judge and Mike Trout.